AQS Furniture was formed in 1992 by Neville Barnett. Neville is a qualified cabinetmaker with over 3 decades of industry experience. The company also includes two qualified cabinetmakers. 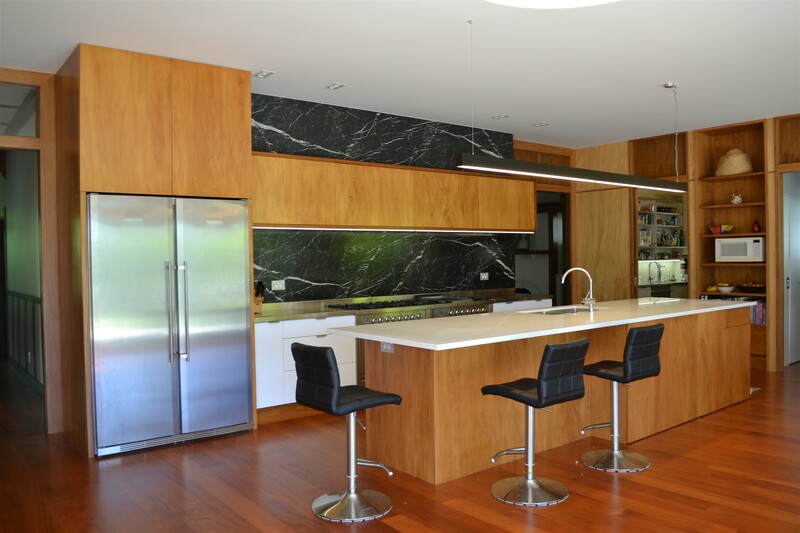 Together they have produced quality kitchens, cabinetry and furniture for many satisfied clients. AQS Furniture specialises in custom built projects – we can design and build almost anything to suit your requirements. We enjoy a challenge and are happy to work with you to get the result you require. Basically – we can handle just about anything. Full end to end service – to ensure the project runs smoothly the build, delivery, and onsite installation is personally project managed by Neville. Your project will be manufactured and preassembled at our Auckland premises in Mt Wellington. Options – We offer a wide range of finishes and styles for doors and bench tops. We are also always open to new options, products and finishes. We can also custom source your materials upon request. Quality Hardware – we install quality European hardware, hinges, drawer runners and storage systems. We don’t have a show room – but you are more than welcome to visit our factory (to see some quality work in progress) and our sample room (Neville’s Office), which contains a range of sample handles, colours and building materials to assist in your decision making process. We can also arrange for you to visit one of our recently completed projects.